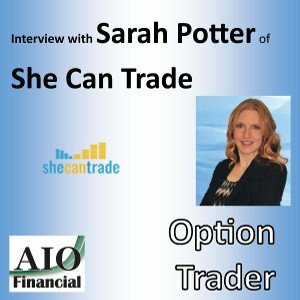 This podcast is an interview with Sara Potter of SheCanTrade.com. Sara is an options trader and offers information to aspiring options traders through her web site. We discuss her strategies and the ways she works with members.